Columbia Md Hair Beauty Salon Vivid Salon & Spa now offers Hair Extensions | Best Salon and Spa in Columbia MD! Vivid Salon & Spa is proud to offer Babe Hair Extensions to our clients. As expert Babe Hair Extensions specialists, we strive to deliver the best products and services in the Columbia, Md. area. Our decision to offer Babe Hair Extensions to our valued customers is part of this commitment. 100% Human Natural Hair Extensions are a great way to add length and thickness to your hair instantly. 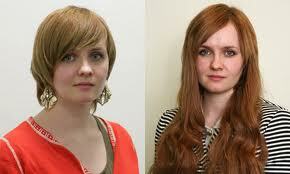 What could a little extra length or a little more volume or highlights or lowlights do for your hair?